Now that the HTC One M8 and the Samsung Galaxy S5 have arrived, everybody is turning their attention to the next flagship from LG, the G3. We have heard many LG G3 rumors already, getting us fueled for a summer release including even a tease of how the commercial packing will look – officially outing the trademarked name as LG G3. We will certainly keep you updated on any new developments as we draw closer to the actual release date. There was a time when launch dates were very predictable, but as the competition has really heated up; you never know when a manufacturer will release its next Apple, Samsung, HTC, or LG killer. As far as the LG G3, LG has indicated that the G3 will hit the streets earlier than the G2, which was announced in early August and on sale in September. In its native Korea, the G3 is estimated to arrive as early as May 17. Insiders are suggesting a possible July unveiling…which seems a little more in line with a slightly earlier release than the G2. With the amount of G3 leaks this early, by the time it actually arrives we should know this device as well as its user’s guide. It has already been shown to be running Android 4.4 KitKat, skinned with a new version of LG’s modern User Interface (UI) with more rounded icons and a subtle color scheme. LG’s new ‘LG Concierge’ feature works a lot like Moto’s Touchless Control, only it can work in conjunction with existing apps, such as AccuWeather – “You may want to take an umbrella, since rain is expected this afternoon.” Very cool, and we cannot wait to see if it can give Siri a run for its money. 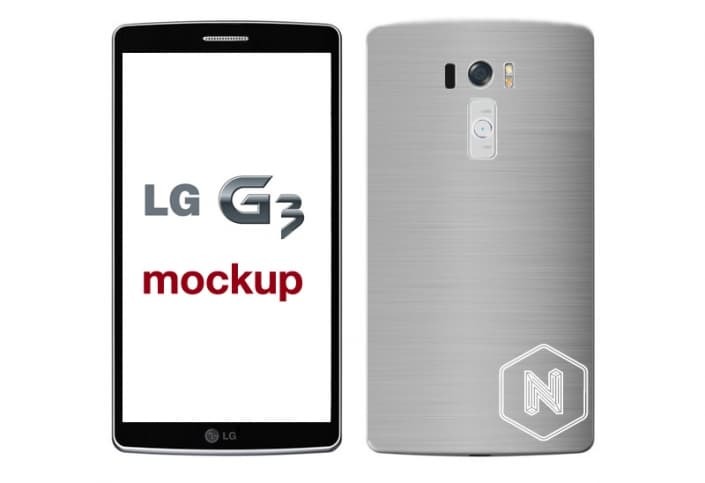 The screen may be the most important upgrade to the LG G3 – leaks reveal that we may finally see a mainstream smartphone go from Full HD (1920 x 1080) to a QHD (2560 x 1140) display, and 5.5-inches at that. This will give the LG G3 a whopping 534 pixels per inch (ppi) and a step-up from the G2 at 5.2-inches. Hopefully, this improvement in the display department will not adversely affect the battery life. As far as the processor goes, it will probably be nothing to get excited about, especially if it comes out as early as LG is hinting around – we will probably get the Qualcomm Snapdragon 801 clocked at 2.5GHz, the exact same processor found in the Samsung Galaxy S5. From all we can tell, Qualcomm will not have their new 805 processor out until the end of the year, long after LG has the new G3 in our hands. While the Galaxy Note 3 has 3GB of RAM, as well as some of the new phones from China, we still believe that the LG G3 will have only 2GB – another indication that it will carry the Snapdragon 801 and not a 64-bit model. It seems a pretty good bet that it will have 32GB of internal storage, but still no indicators that whether it will have a microSD card slot. 13-megapixel or 16-megapixel camera – indicators are still leaning towards the 13-megapixels, although from the shots we have seen so far, LG has done a great job on improving the G2’s camera…which was already quite good. Rumors also call for a 2.4-megapixel front facing camera. There is also a possibility of a dual LED flash, but nothing has been verified. According to other leaks, the LG G3 should have some sort of fingerprint scanner – at least the software should be there for one, as well as PayPal pre-installed, which now accepts fingerprint payments. From recent photos, we also can assume the G3 will continue with the rear-mounted volume and on/off controls. Please let us know on our Google+ Page if you are excited about the new LG G3 – are you holding out for the next LG or did you already grab a new Galaxy S5 or HTC One M8…as always, we love hearing from you. 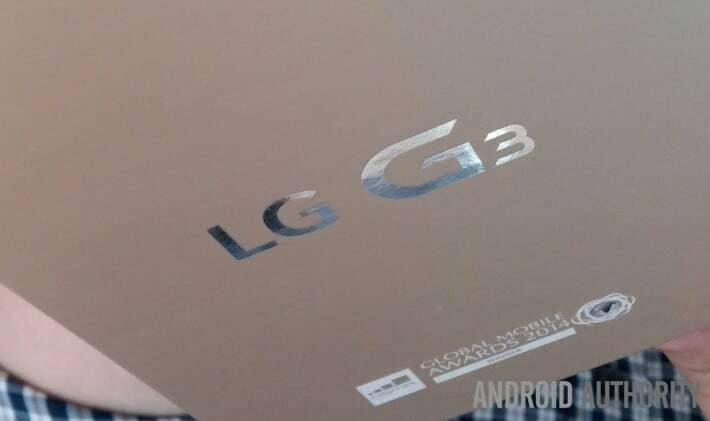 The post What Do We Know About the LG G3 – Delivery, Specs, Price & Rumors appeared first on AndroidHeadlines.com |.